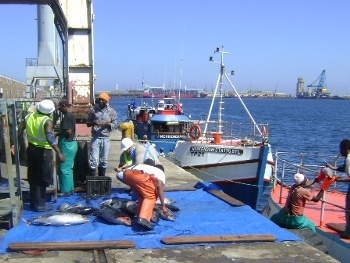 Our tuna is caught by poleline vessels operating in the crystal clear blue Atlantic Ocean off the South West African seaboard. 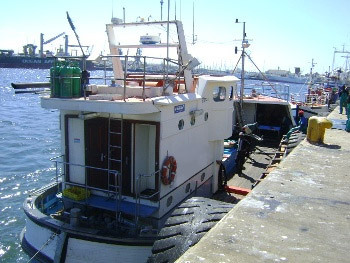 We contract two types of vessels. 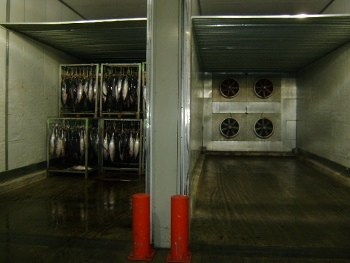 Our sea frozen vessels hold between 40 and 90 tonnes with a blast freezer on board, freezing to a minimum core temperature of -20°C. 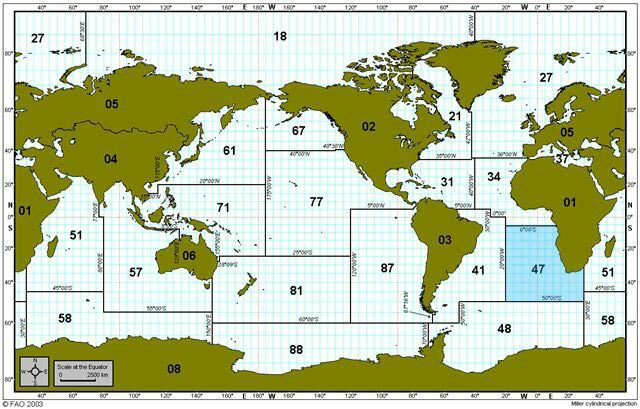 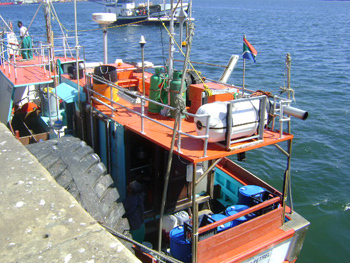 They are able to operate at sea for up to 1 month and land their catches in Cape Town, South Africa, or in Luderitz, Namibia. 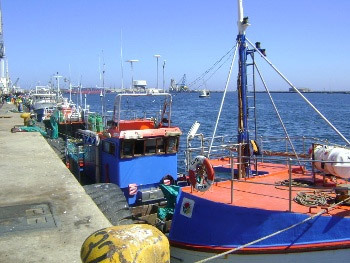 Meanwhile, our ice vessels stay out for a maximum of 7 days and deliver the fish to our contracted freezing facilities in the Cape Town harbour. 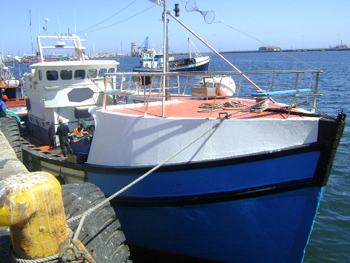 The season normally commences at the end of October and closes at the end of May. 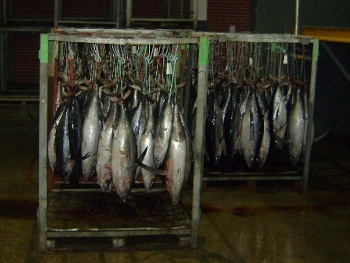 The Albacore is frozen whole round with an average weight of between 7 and 12 kg. 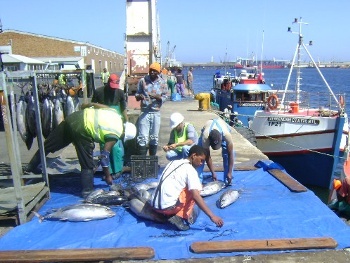 We export only first grade South African and Namibian origin albacore that are catch certificate compliant & NRCS (SABS) & EU approved.